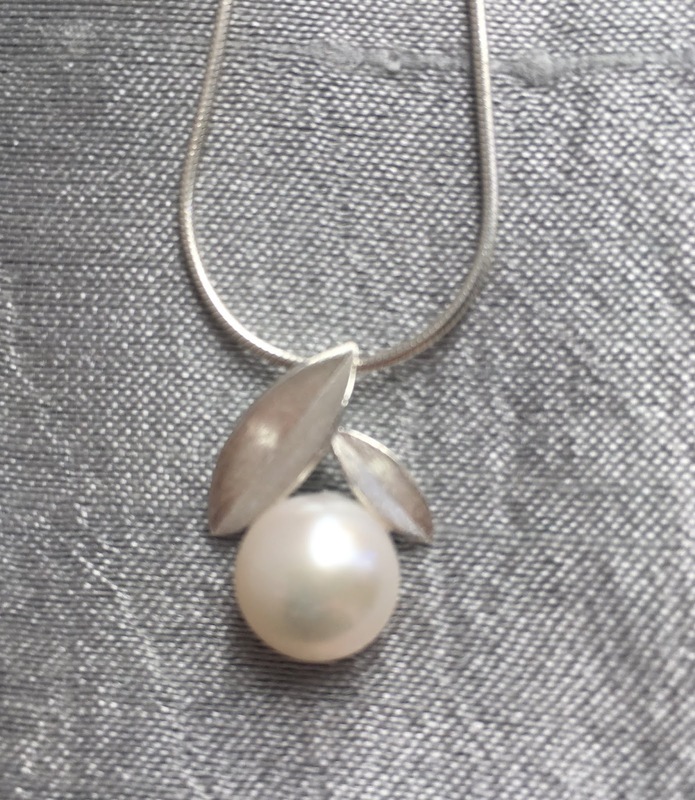 I was struck by the beautiful simplicity of this lovely design! The stud earrings feature a white freshwater pearl nestling in brushed silver "Laurel" leaves. 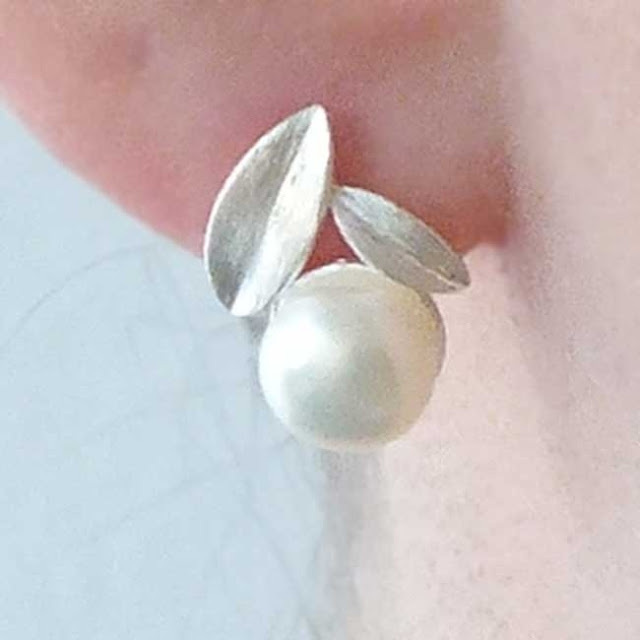 Of course pearl studs are the classic earring, which go with any outfit, for any occasion. These just have the subtle addition of the silver leaf giving them a hint more definition. These utterly gorgeous earrings are feminine, dainty and very pretty indeed. and is considered the most magical and feminine of all gemstones. They are formed when foreign matter such as sand makes it's way into the shell of a marine or freshwater mollusc, usually oysters or clams. the mollusc's defence mechanism starts to coat the intruder with layers of a lustrous, iridescent substance (nacre), and pearl building begins. Contact us by clicking on the link below if you would like to purchase the set.